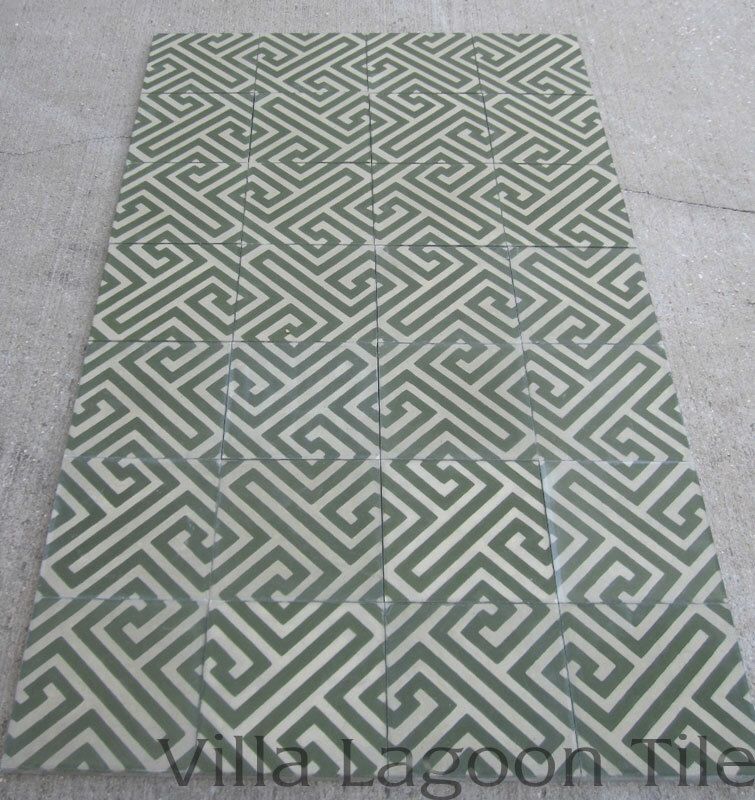 This is a 2-color 8" cement tile, using Khaki, and Dark Olive from the Marrakesh Palette. 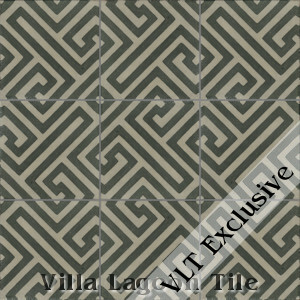 This Villa Lagoon Tile exclusive pattern draws from ancient Chinese fretwork designs, making a sophisticated and practical cement tile floor. 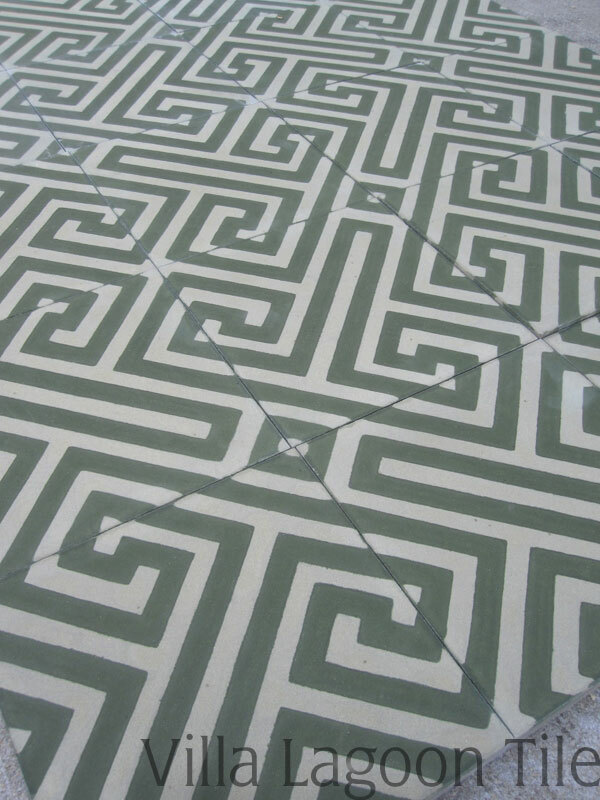 The 8" cement tiles can actually be arranged to create two different patterns. 50 square foot minimum order (small order charges may apply under 100 square feet). This production of Fretwork has sold out, but will always be available as custom tile.